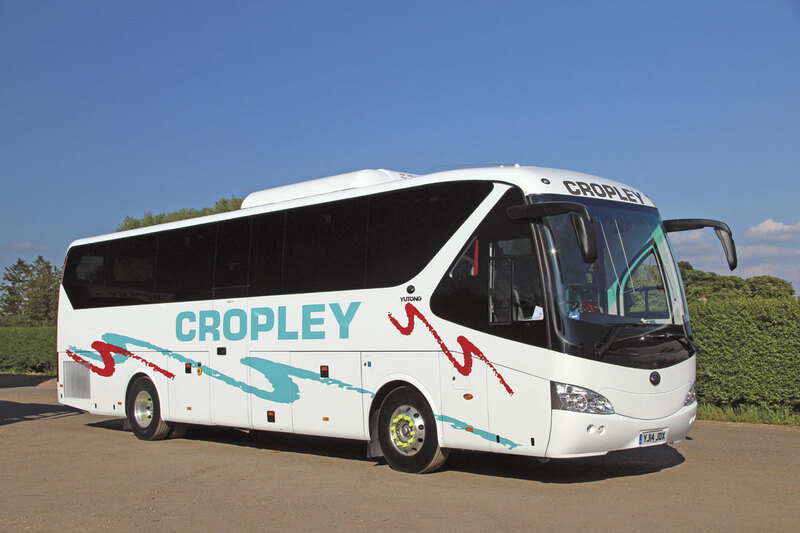 The first Yutong TC12 to be delivered to a UK operator entered service earlier this month with Cropley Coaches of Fosdyke in Lincolnshire. 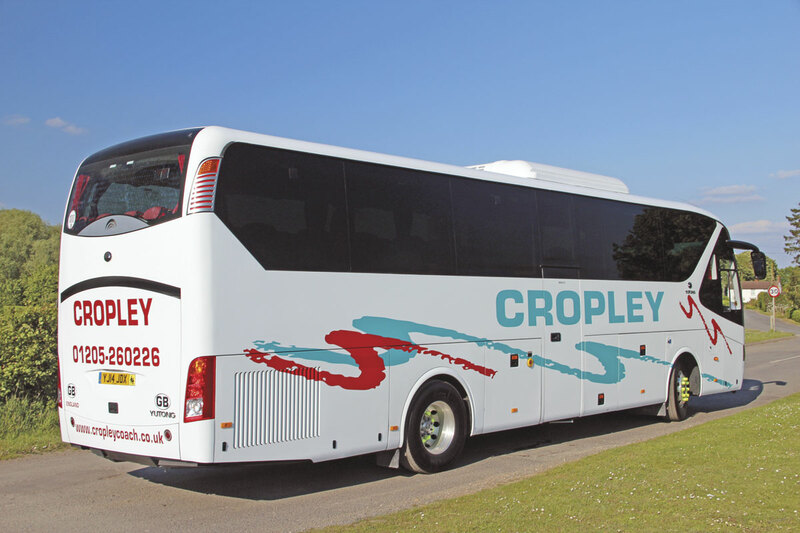 The 12m two-axle coach seats 51 and has a centre sunken toilet and continental door. Hitherto an all Volvo fleet in which all but one of the 12 full sized coaches were Sunsundegui Sideral bodied, Cropley Coaches is run by John and Sandra Cropley and their son Chris. The Yutong is being imported by Pelican Engineering of Castleford who unveiled the first demonstration example of the TC12 earlier this year and will be bringing in 16 Euro5 Cummins ISL 400bhp engined coaches before deliveries of DAF MX11 Euro6 powered coaches start later this year. Both engine options will be matched to the ZF EcoLife fully automatic six-speed transmission. John is encouraged that both the Cummins and DAF engined vehicles will benefit from DAF Aid support. He commented, ‘If it works out and Pelican deliver what they promise, it will be a very successful coach with very successful back up.’ In opting for the first of a new model and one manufactured by a Chinese manufacturer with no previous UK history, he accepts that residual values may well not be as high as they are for established brands, but he believes the lower initial cost price offsets this. John is pleased with the new coach which is free of vibrations and, he believes, is better finished in terms of the detail than the demonstrator he looked at before placing his order. 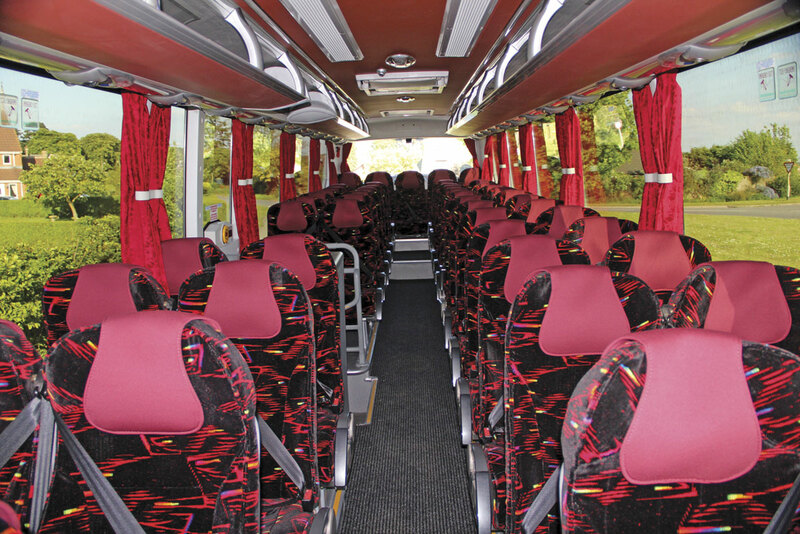 He also feels that his criticisms of the seat spacings have been answered and is delighted with the look of the interior which features a predominantly black moquette relieved with red, coordinating with the red headrest covers, curtains and ceiling trim, all of which were blue on the demonstrator. He also welcomes the replacement of the mesh type carpet with a more conventional ribbed floor covering in grey. 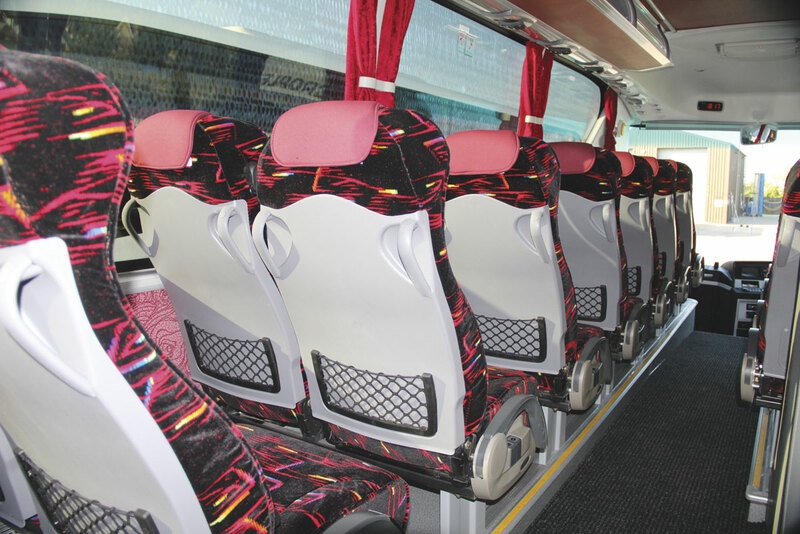 Electrical power points are fitted beneath the seats on alternate seat rows. Taking the coach out for pictures after it had been sat in the sunshine in the yard all day, the air conditioning soon reduced the interior temperature from 35 degrees to a comfortable level. 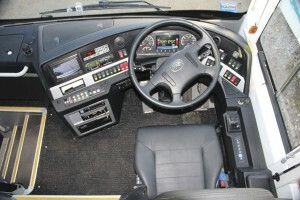 Among the features John has specified are drop-down monitors both at the front and in the centre alongside the continental door. These were produced by HSAE, a manufacturer I cannot recall encountering previously, though John pointed out that many of the vehicle’s components are either European or based on European designs. 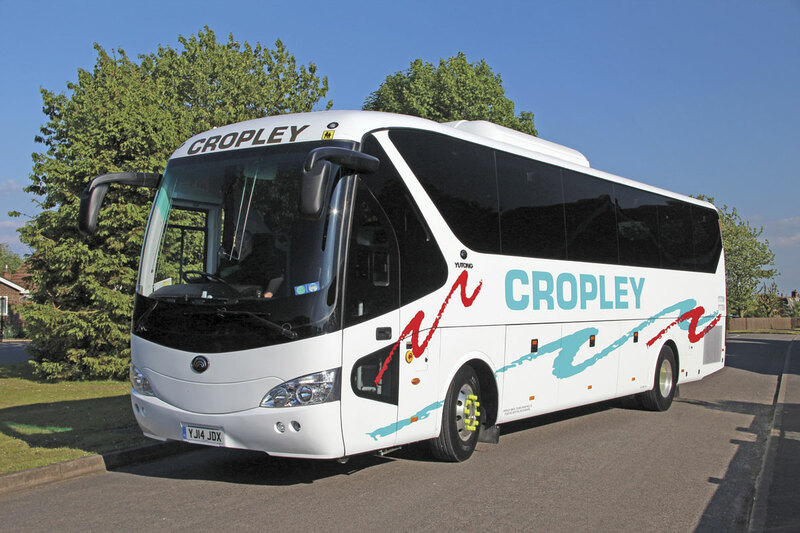 It is Cropley’s intention to utilise the TC12 on the full range of work the company undertakes, including school contracts, private hire, and contract touring, the latter predominantly with school groups. It was scheduled to go to France two days after I inspected it and to Spain later in the same week. Manufacturing over 40,000 coaches annually, Yutong is a massive player in world terms. Cropleys’ new acquisition may seem out of the ordinary today, but I wouldn’t bet on it still seeming so when the time comes to dispose of it.